Online, there are tons of ways that you can make money for free – we cover most of them on here. You can get paid to take online surveys, watch videos, read emails, you can even get paid to sign up. None of ’em allow you to make as much money as you could with sites that pay you to do offers. Because there is no limit. New offers are added all the time. With surveys, for example, you have to wait for an available survey. Even then, you have to actually qualify to take it and not everybody does qualify. But with get paid to websites (also known as GPT) there’s no need for qualification. You’re always qualified to do any offer. Usually, you have to do simple tasks, like sign up for a website, or try out a company’s product or service. And you get paid in return. You might be wondering, how do these offer websites work and why do they pay you to do the offers? Well, for most offers, you receive cash for trying out a product or service. You might have to fill out a form, sign up for a website, sample a product, or watch a brand’s video. Whatever the offer, you get paid in return for doing it. Others just pay you in cash and skip the points altogether. So, what do the websites get out of it you ask? These websites that pay you to complete offers give brands a lot of advertising. If you sign up for a brand’s service or view an ad, then that brand gets exposure. And if a website has hundreds, thousands or even millions of people doing this, then that’s a lot of exposure! Brands pay to be featured on these websites, and you get a cut of that profit. As the name suggests, you don’t have to pay anything to participate in free paid offers. For these types of offers, you don’t have to give out any of your credit card details. We definitely recommend that you stick with these types of offers, for the most part. There’s no investment on your part, and you still get paid! Before you complete an offer, always make sure that it is 100% free. Do not enter any card details. If you’re required to do that, then it’s not a free offer. These types of offers are sometimes called trial offers. With non-free offers, as their name suggests, you have to pay to sign up. If you’re looking to get paid to complete offers, then you don’t want to have to pay for the privilege. You will have to provide your credit card details to participate. Of course, you can cancel the offer later. We don’t recommend that you participate in these kinds of offers unless of course, you’re really eager to try the product/service. Instead, as we said above, we recommend sticking to free offers. That said, these kind of offers are best for times when you were going to buy that product/service anyway. This works very much like cashback you get from your favorite cashback sites. And as I always say, if you’re going to buy something anyway, you may as well go through a cashback site (in this case through your favorite GPT site) and get some of what you spend back. Now you know how these websites work and the types of offers you can participate in. Now, you’re probably wondering; what are the best websites that pay you to complete offers? As you can imagine, there are dozens of these sites out there. Some are easier to use. Some have better reviews online. Others have a larger selection of offers to choose from. And some have a lower minimum payout threshold. Below, we’ve gathered the best sites for completing offers. How easy it is to reach the minimum cash out requirement. Have a good selection of offers to choose from. One of the best survey sites out there is Treasure Trooper. What’s great about Treasure Trooper is the number of offers that are available. According to TT, there is more than $3,000 worth of available offers on the site. The website’s offers range in payout, from $.50 to $50.00. And the majority of them are free offers! Once you’ve completed an offer, it’s added to your pending offers page. The website then verifies and approves it. Then the money is added to your earnings. The minimum payout threshold is $20 – which is pretty good. Aside from cash, you also receive gold coins. You can redeem these for items at the Trading Hut. With this website, you can also get paid to take surveys. You can take up to eight per day and each one is worth $1. And if you refer a friend, you get 20% of what they earn. Signing up for free websites. Signing up for free services. What’s great about CashCrate is that its offers are free. You can also get paid to complete surveys and get cashback when you shop. CashCrate pays via check, which is a little annoying. But, the cash-out minimum is $20, which isn’t too high. There’s also a pretty good referral program available. When you refer a friend to CC, you get 20% of their earnings. You also get 10% of your referrals’ referrals earnings. Another good website that pays you to complete a variety of offers is Swagbucks, which we reviewed here. We talk about SB a lot on Money Pantry, as it’s a well-established, trustworthy website that provides you with tons of ways to make cash. There are tons of free offers available. In return, you earn points, known as Swag Bucks. You can redeem these points for rewards, like gift cards and payment via PayPal. Each reward requires a certain number of points. Swagbucks also pays you to take surveys, watch videos and shop. But, some offers require you to enter payment details. So make sure that you only go for the free ones! What’s great about InboxDollars is that it gives you a $5 bonus just for joining! Aside from offers, you can also earn for playing games and taking surveys. You need to have a minimum of $30.00 in your account to withdraw your cash. There’s also a $3 processing fee. This is a higher withdrawal amount that the previous two sites, but ID does offer such a huge selection of offers that it’s one of the best out there. SendEarnings is a website that pays you to read emails, join survey sites and play games. There is a huge range of offers available for you to complete on there. For some of the offers, you have to complete a survey, some involve just signing up, and others involve subscribing to a service. There are plenty of other types of offers available. Again, like with Inbox Dollars, some of the offers might not be free – so make sure you check beforehand. The minimum payout on SE is $30.00. What’s great about GP is that will give you a $5 bonus just to sign up. When you complete tasks on GP, you’ll earn points. You can then redeem these points for rewards. GP has more than 70,000 reviews and nearly a 5-star rating on the Google Play Store, so it’s one to check out. Gift Hunter Club is another website to check out if you’re looking to make cash from offers. It has plenty of positive feedback on the Google Play store, where it has more than 2,000 reviews and four-star rating. Gift Hunter Club gives you points in return for completing these offers. You can redeem your points for gift cards or cash via PayPal or Payza. Each gift card requires a different amount of points to be redeemable. Another website to consider is Earnhoney. EarnHoney gives you points, known as HD in return. It’s a good place to find a variety of different offers that you can earn cash for. In return for completing these tasks, Perk rewards you with Perk Points or Perk Tokens. Perk Tokens, on the other hand, garner you an entry into sweepstakes. And gift cards to popular retailers. It’s a website with a lot of ways to earn cash, so you should definitely check it out. The final site to round out our top ten websites is QuickRewards.net. This one has been around for a while – since 2002 in fact! QR provides a great selection of free offers. In return for completing offers, you can earn cash or gift cards. The website has more than 50 redemption options. You can choose to get paid via PayPal. And, what’s great about it is that it doesn’t have a minimum withdrawal limit in place. So you don’t have to build up $20 or $30 in your account like you do with some of the other platforms on this list. As soon as you have a penny in your account, you can withdraw it. And, withdrawals are super quick too. PayPal payments are sent within 72 hours! You can get gift cards as small as $5, so again, you don’t have to wait for ages to cash out. And, you receive gift cards in just a week! We definitely recommend this website if you want to make cash quickly. QR is certainly worth keeping an eye on if you want access to some great offers. Okay, so the websites above are some of our favorite places to make money doing offers. But, they’re not the only ones out there. If you’d like a wider range of get paid to websites to choose from, then check out some of the platforms below. Get rewards for completing offers at InstaGC. You can earn cash for doing things like tasks, trying apps and signing up for trials. There are 360+ gift cards to choose from! Cash4Offers is another good site. You can earn for tasks like opening emails and signing up for stuff. Its minimum payout is $35. You also get a $5 sign up bonus. With FusionCash you can earn cash when you try out products and services. You must have $25 to cash out. But they give you $5 free as a signup bonus. It has an A rating with the BBB. Get paid to sign up for free trials and read emails at UniqueRewards. You can cash out your earnings once you reach $20. Plus, you get $5 to sign up. Points2Shop offers rewards when you complete offers, like trying apps and playing games. You can earn points or cash. For most offers you earn points. You can earn cash, rather than points when you refer a friend or family member or complete a cash offer. You cannot exchange points for cash. Instead, points can be used to buy stuff on Amazon. Each item is worth a different number of points. You can view products you can buy on Amazon using your points here. You can also use your points to get an Amazon Gift Card. Other rewards include game cards and gift cards for retailers. This is one of the oldest sites of its kind. With MyPoints you can earn points for completing a variety of tasks – shopping, taking surveys, completing offers, reading emails and so on. You can then redeem these points for rewards, like gift cards. Another one to check out is Gift Hulk. You earn Hulk Coins for completing various tasks. Then you redeem them for rewards, like items and gift cards in the Hulk store. You get your rewards every Sunday. Get paid to install apps and sign up for services at Earnably. Payment options include Amazon, PayPal, and Bitcoin. SuperPay pays you to complete free offers. There are more than 700 offers available worldwide. This is a really fun site. They pay you $5 just for joining. With PointClub, you can earn a variety of rewards, like PayPal credit and gift cards for places like Amazon, Gap, iTunes, Target, and Nordstrom. Share your opinion and get paid with Vindale. This company pays cash via check or PayPal. You also get a $2 sign up bonus. Complete easy tasks online and earn points with Irazoo. You can redeem these points for rewards. Payment options include cash and gift cards. Get paid when you complete offers, like trying new products, signing up for websites and downloading apps with Clixsense. The minimum cash out is just $10, which is really low. So now you have a great selection of websites to make money with. But, you might be wondering, are there any tips and tricks for earning cash with these websites? 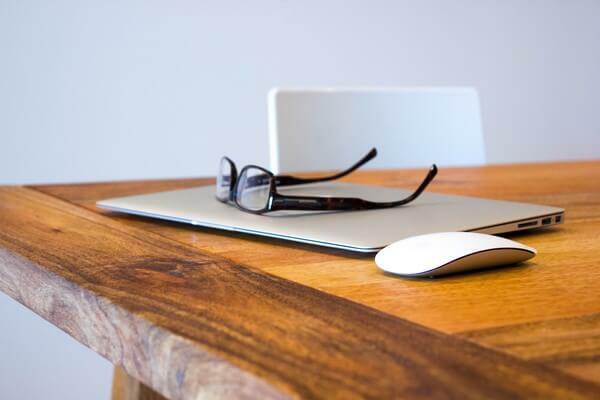 If you want to make the most out of completing offers online, then make sure you keep these tips in mind. Sign up for multiple websites. That way you’ll have a more varied and extensive selection of free offers to choose from. Try out Gmail, Outlook and Yahoo mail. According to users on this Reddit post, email addresses from these providers tend to be successful when signing up for offers. Use multiple email addresses: In the same Reddit post we linked to above, users also talk about using different email addresses for affiliated offers. Use FireFox or Chrome: In this Reddit post and others, people state that they have the most success with GPT complete offer sites when they use FireFox or Chrome. So skip Internet Explorer. Check your emails: As one user on Reddit points out, sometimes you have to click a confirmation link in an email in order to fully complete an offer. So make sure that you don’t skip this step. You might not get paid that much per offer that you do, but the amount that you get from doing offers consistently can really add up. One user on this Reddit post states that they have made $230 in a month on websites like Perk, Swagbucks, and QuickRewards. People in this Reddit post state that they have cashed out between $30 and $109 from Inbox Dollars. 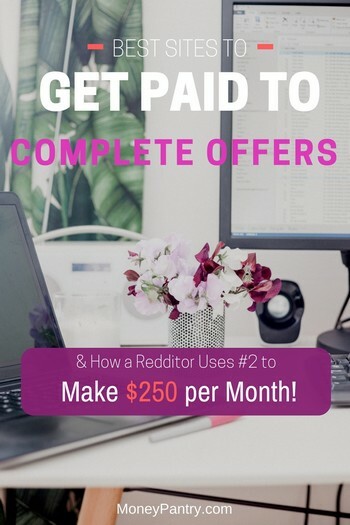 This person on Reddit who is a member of CashCrate, and also participates in surveys on the site as well, states that they make $250 a month. So as you can see, you could earn yourself a decent amount of cash each month, depending on how much time you put into it. Completing offers online is a super easy way to make cash and earn rewards. And, it’s not too time-consuming either – especially when you consider that many of these tasks could easily be done while you’re on your lunch break, in line at the store, or during a commercial break! 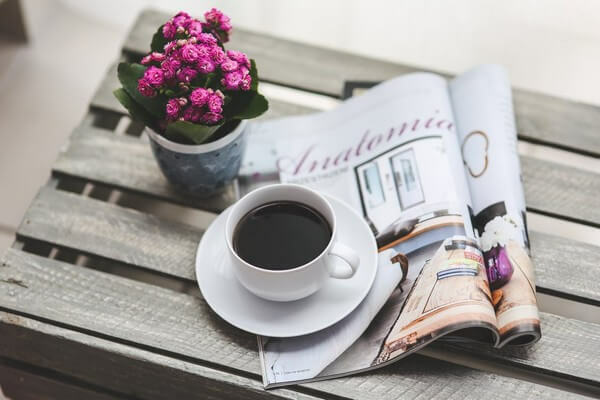 We’d definitely recommend signing up with a few of these websites if you want to make a bit of extra cash online and start getting paid for doing simple offers. Making Money on Udemy: How to Teach a Course Once but Get Paid Forever! 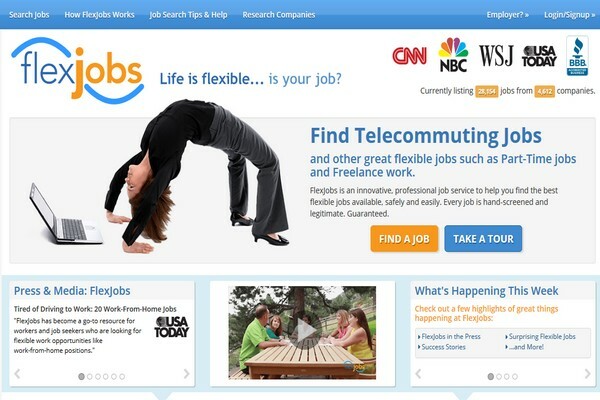 FlexJobs Review: Will You Pay $15 to Find a Legit Work at Home Job?